The 19th century ushered in a new era of technology with the introduction of telegraph, radio and telephone. Nothing was the same ever since. In most ways it was WWII that gave birth to electronics engineering as a branch. With inventions like Sonar, Radar and communication systems it became a necessity to study and understand the science behind them. The term electronics engineering came into prominence after the 1950s. Electrical engineering is still used interchangeably with electronics engineering in some academic circles. This is due to the fact that electronics is a sub-field of the former. There are a plethora of opportunities waiting for you once you’re done with your Master’s in Electrical/Electronics and communication engineering. Let’s have a look at the top 10 universities offering Masters course for the related branches! 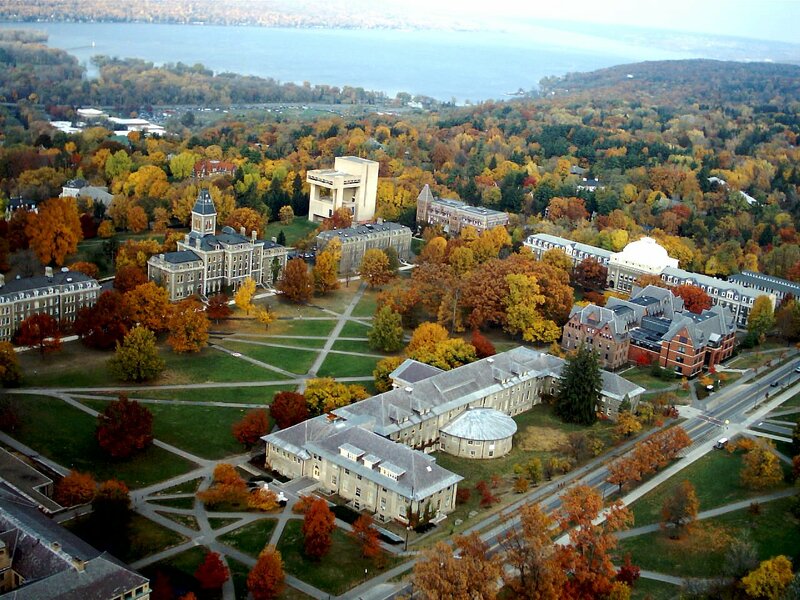 With an acceptance rate of 28.4% and abundant funding options like fellowships, Research/Teaching Assistantships, Cornell offers some of the most sought after courses in the electrical/electronics/communication engineering background. It offers specializations like Artificial Intelligence,Computational Biology,VLSI and Systems and Networking. The tuition fees range around 30,000 USD p.a. Being an Ivy league university Princeton is synonymous with Research and development in the field of electrical/electronics and communications engineering. Tie ups with prestigious research institutes and organizations enriches the learning experience. Princeton Research Institute for the Science and Technology of Materials (PRISM), Princeton Center For Complex Materials (PCCM) and Center for Mid-InfraRed Technologies for Health and the Environment (MIRTHE) are some of the programs associated with the reputed university. 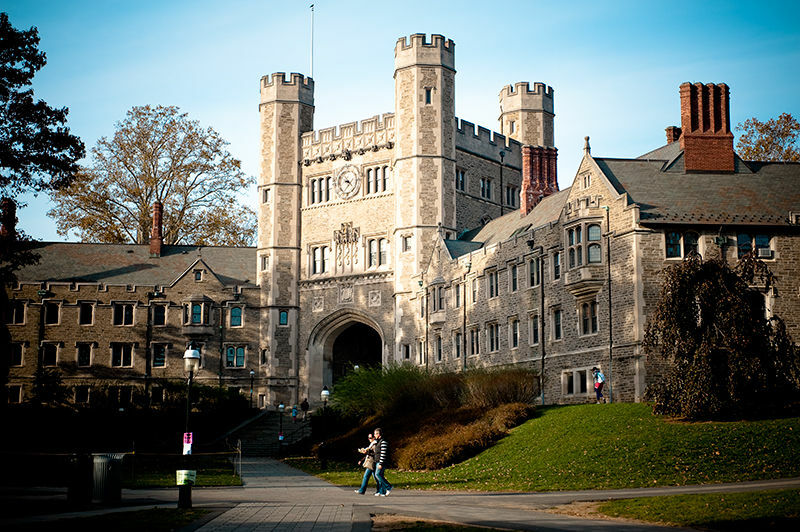 The acceptance rate is around 10% and with average tuition fees in the range of 38-39,000 USD Princeton. Computing & Networking, Information Sciences & Systems, Integrated Electronic Systems and Photonics are the core research areas. Through international collaborations with other universities, CMU aims at giving an innovative boost to their academics and education style. SYSU-CMU Joint Institute of Engineering is one such collaboration between Sun Yat-sen University and CMU. Acceptance rate of almost 29% and tuition fees in the range of 39,000 USD, CMU remains to be one of the best choice for anyone fascinated by R&D in the field of electrical/electronics and communication engineering. Apart from VLSI, wireless Networking and communication CMU has multiple research areas with focus on Computer storage systems, Cyber-physical systems, Mobile systems and Smart infrastructure. 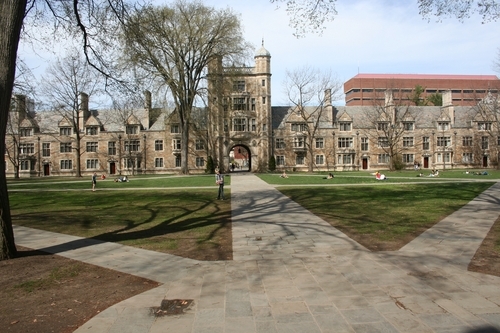 University of Michigan simply referred to as UMich is one of the top notch public research universities in US. It is the oldest university in the state of Michigan. With over 40,000 students and close to 7000 academic staff the Ann Arbor campus boasts of 3,177 acres. Starting from computer architecture to Plasma Science & Engineering, from Signal & Image Processing to Integrated Circuits & VLSI, from Solid-State Devices & Nanotechnology to Quantum Science & Devices UMich provides a whole lot of options to choose from in terms of R&D. The acceptance rate varies around 25% and the tuition fees round up to 42,000 USD. Georgia Institute of technology commonly referred to as Georgia Tech is a public research university with research interest in areas ranging from Biosensors/BioMEMS, Neuroengineering, Dependable Computing, Multimedia Networking, Photonics and optoelectronics, VLSI Systems and Digital Design. 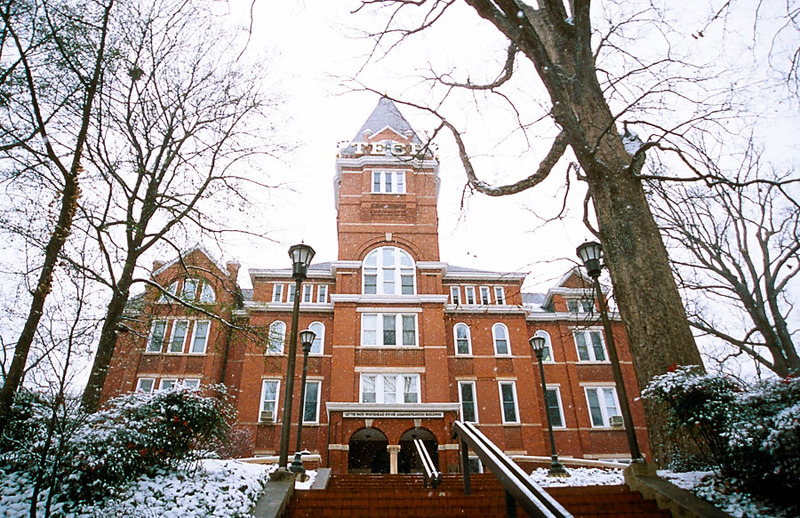 With an acceptance rate of about 26% and annual tuition fees in the range of 26-27,000 USD Georgia Tech boasts of a humongous 23,000+ student community. California Institute of Technology commonly referred to as Caltech prides itself on a combined 34 Nobel prizes achieved by 33 of its alumni and faculty members. That speaks leaps and bounds about the scope and opportunities for research and development. Other extraordinary feats include managing NASA’s Jet Propulsion Laboratory ever since 1936. Another factor that provides a huge boost to R&D at Caltech is the multidisciplinary approach to the field of electrical/electronics and communication engineering. This approach enables the students to study and research in a wide variety of fields ranging from wireless systems to quantum electronics, modern optics, lasers and guided waves, from solid-state materials and devices to power and energy systems, from signal processing to computational vision. With acceptance rate just above 8% Caltech is one of the hardest places to get into. The annual tuition fees come around 39,000 USD. 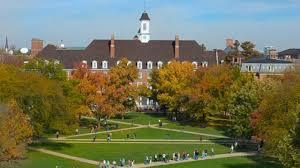 With annual tuition fees of 30,000 USD and acceptance rate of 27% there are plenty of research opportunities in UIUC. Research areas include Circuits and signal processing, Communications and control, Computing systems hardware and software, Electromagnetics, optics and remote sensing, Microelectronics and photonics, Nanotechnology, Networking and distributed computing, Power and energy systems and Reliable and secure computing systems amongst others. More than 130 courses to choose from and 100 experienced faculty members with years of expertise among them, what more can any aspiring graduate student ask for. 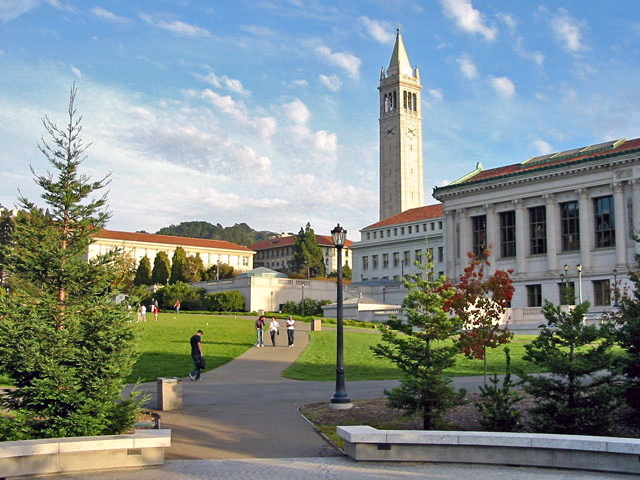 University of California commonly referred to as UC Berkeley offers a variety of high quality courses for masters. The courses are catered to both industry-oriented as well as research-oriented students. The duration of these courses vary depending upon the course chosen, with research-oriented courses spanning a period of upto 7 years while the industry-oriented courses last for 1-2 years. Collaborations with institutes like California Institute for Energy and Environment (CIEE), Center for Optoelectronic Nanostructured SemiconductoR Technologies (CONSRT), Video and Image Processing Lab (VIP Lab), Visual Computing Lab (VCL) and Wireless Embedded Systems (WEBS) gives UC Berkeley that extra edge in terms of research. The main research areas include Artificial Intelligence (AI), Micro/Nano Electro Mechanical Systems (MEMS), Signal Processing (SP), Human-Computer Interaction (HCI) and Integrated Circuits (INC). With an acceptance rate of 12.4 % and tuition fees of about 27,000 USD this flagship campus of the University of California system is easily one of the best public research universities in the world. One of the most prestigious and selective colleges in US Stanford remains to be at the pinnacle of research and academics. 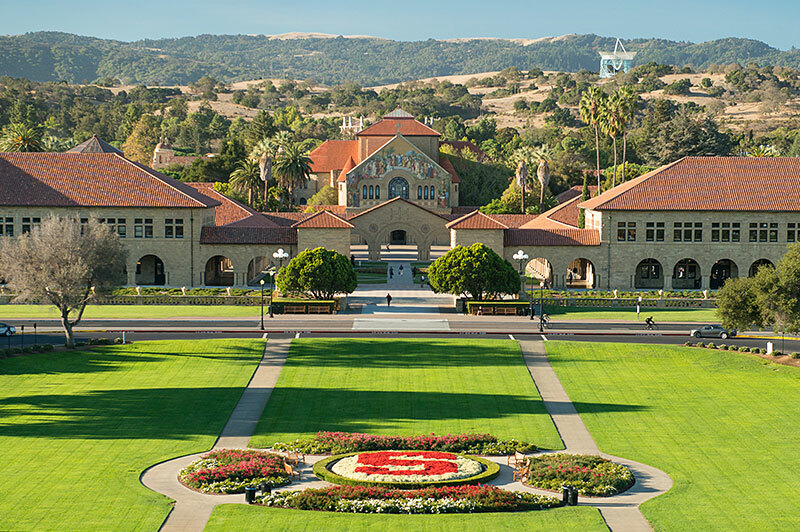 Apart from association with faculty and alumni who have founded companies like Google, HP, Nike, Sun Microsystems and Yahoo!, Stanford boasts of producing a combined 47 of world’s billionaires and astronauts. The core research areas concentrate on Physical Technology & Science, Information Systems & Science and Hardware/Software Systems with subareas such as Integrated Circuits and Power Electronics,Societal Networks and Energy-Efficient Hardware Systems. There are plenty of multidisciplinary research options too. With an acceptance rate of almost 19% and tuition fees of about 44,000 USD the cardinals rank number 2 on our list of top 10 universities for electrical/electronics and communications engineering. 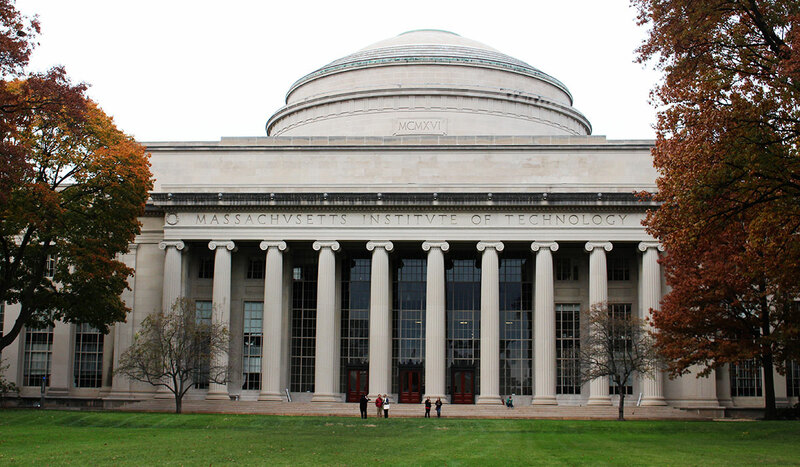 MIT is the perfect fit for numero uno on our list of top 10 universities for electrical, electronics and communications engineering. 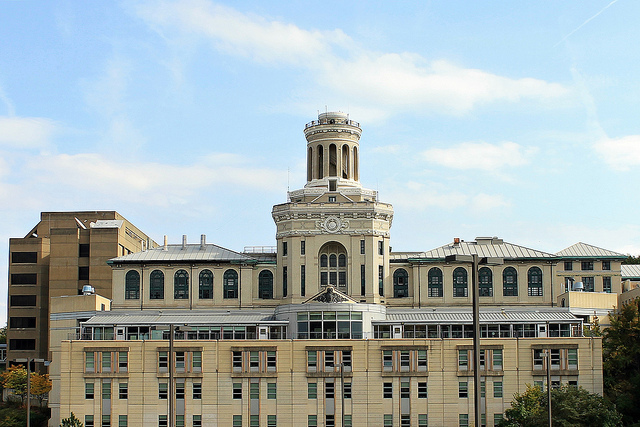 Subject of numerous movies, sometimes portraying the life of a 20 year old unrecognized genius and sometimes telling the tale of gifted students who take down a casino by their sheer intellect; this university has been as much a part of pop culture as it has been a standout in the field of academics. Apart from research activities this university has had more than its fair share of successful entrepreneurs. With more than 11,000 students and over 1000 academic staff MIT is a pioneer in the field of physical sciences and engineering. The graduate research areas comprises of Integrated Electronic and Photonic Systems,Computer Systems, Networks, and Architecture and Bioelectrical and Biomedical Engineering. With an average acceptance rate ranging around 8-10% and annual tuition fees of about 42,000 USD MIT tops our rank of the most prestigious universities for electrical, electronics and communication engineering. We hope that this particular segment on top universities in the field of Electrical, Electronics and Communication Engineering was useful and informative. We wish you all the best for your university shortlisting process and happy learning with GREedge. pl let me know which are the universities for his calibre. It would be inaccurate to suggest universities without a complete profile evaluation including research work, work experience, internships, projects etc. But for a GRE Score of 305, you could consider universities like Florida Institute of technology (safe); New Jersey Institute of Technology (moderate) or University of Central Florida (moderate). You can get in touch with our admission experts on our facebook group: http://www.bit.ly/msdreams?ref=blog. Any queries from university shortlisting to admission guidance will be answered within 24 hours. Ma’am i’m seeking informationabout the colleges that would be most appropriate for me. Research on image processing. 3 mini projects. What colleges do i have a good shot for? If you are targeting Fall ’17 admissions, you are at the right place in the timeline. For Master’s in Electronics, you have a strong profile and if you complement this with a compelling SOP, then you can apply to some top universities like University of California, Irvine (Ambitious), Texas A & M University, College Station (Moderate) and The University of Southern California, Los Angeles (Moderate). I have completed my BE in EXTC and planning to go for fall ’17 admissions, so i want tp know what is the minimum acceptable GRE score for getting admissions in one of these universities ? While there is no definite minimum GRE score that universities accept, the cut-offs based on which applications are shortlisted is based on the overall average GRE scores of the applicants for that admission season. But just to give you a benchmark, the average GRE scores accepted by universities ranked 1 to 20 is 323, 21 to 50 is 315 and 51 to 100 is 309. We usually advise our students to target a 320+ GRE score so that they have a good chance at getting multiple admits. Thanks for posting your question. Your son’s profile looks promising but I will require more details to accurately shortlist a few universities. I would need his college, the topper’s GPA, the target course and any research/work/internship/project experience. Looking forward to hearing soon from you! Let me first commend you for your focus on higher education! If you are planning on pursuing Master’s abroad, the first thing you must clear is your GRE. A high GRE score opens up a wide range of universities that you can apply to, especially universities like MIT & Stanford. They require high scores like 330+ in GRE, along with a strong academic profile, research experience, projects, work experience etc. Keeping this in mind, it would be beneficial for you to start your preparations as early as possible and give yourself enough time to achieve a good GRE score! You can visit our website http://www.greedge.com and click on the Sign Up Now button to understand more about how to proceed further with your GRE training. My son G Karthik has scored 332 in GRE and Engg. Aggregate is 79%. He is 4th year Electronics & Communication Engg in India & will be applying for M.S. Engg 2017 fall. Which US Universities does he have a good chance of successful applications in? Pls advise. Thanks. Please I want to know what I need to do or have to be eligible for a fully funded MSc in Power Systems. I a currently preparing for GRE. Thanks in anticipation of your response. Thanks for writing to us. We would be happy to help you out! I would like to know which countries/universities you are targeting so that I can help you out better! A good GRE score – there are no minimum cut-offs but the average score accepted would be dependent on the university. It would be greatly beneficial for your admissions if you have relevant practical experience beforehand like research projects, internships or work experience. I would also suggest you start your applications early if you are targeting a fully funded course. Ma’am I m currently in my final year of Electronics and Communication engineering. I have planned to do my Master’s in networking or wireless communication systems. My cgpa is a 7.9/10 . I ve not done any internships or mini projects . Can I take a break for a year and work on a few internships and then take my Gre and apply for the fall admissions’18? Would that be a good choice? It is always a good move to add work/internship experience to your profile before applying to universities in the US, provided it is in line with the course you want to do. Having some practical experience under your belt will also help you narrow down your long-term goals which will be highly beneficial in writing a strong SOP. However, ensure that you use this time wisely as this will be scrutinized during your visa interviews. If you have already worked on a couple of projects, you can take your GRE now and apply. A high GRE score between 310-320+ also work sin your favour during admissions. For more GRE & Admission related queries, you can interact with our experts and other MS aspirants on our facebook group here: bit.ly/msdreams. After looking at your profile, your GPA is a point of concern. However, you should be able to achieve some good admits provided you target the right universities. Based on your GRE score alone, some universities you can look at are Wayne State University (Safe); University of Texas, Arlington (Achievable) and University of Texas, Dallas (Ambitious). I have planned to do my ms in computer science . And my percentage is 87. And my gre score is 301. I have done internship for 6 months and have done many mini projects and robotics project. Some achievable to safe universities for your profile might be University of Illinois, Chicago; University of Texas, Arlington and Illinois Institute of Technology. If you want expert assistance to complete your applications in time for Fall ’17 deadlines, drop in your details here: http://bit.ly/sensible-selection-16 and we’ll schedule a call with you soon! I just have completed my bachelor’s in electronics and telecommunication form Pune university with 69%. if I give the TOEFL exam then I am eligible to do the MS or not? However, there are some universities in Canada like McMaster University (ranked #92 in the world) that do not have a mandatory GRE score requirement to apply. So, if you don’t want to give GRE or aren’t targeting US for your studies, then do try this! Hello. Can I know the deadlines for tier 2 universities. I m planning to write my gre exam again and would like to know the dates so that I can book my gre exam date. Please reply as soon as possible. If you’re planning on Fall 2018 admissions, you’re at the right place. It’s the right time to start your preparation for gRE and then plan out your applications after that. Since you’re targeting MS in Electronics & Telecom, there are many state universities with highly ranked programs like Ohio State University, Arizona State University or Rutgers in New Jersey. However, your first step to shortlisting universities is to have a good GRE score between 310-320 out of 340 because this becomes the first criteria to filter out applications. You’re absolutely right that most universities in Canada do not have a mandatory GRE score requirement. However, your GRE score is a reflection of your logical reasoning and critical thinking abilities. Both of these qualities are highly important for specialized studies. Therefore, a high GRE score adds a lot of weight to your profile and can increase your admission chances significantly. If you’re particularly considering top universities like University of Toronto, University of British Columbia or University of Waterloo, a high GRE score can tip the scales in your favour! I am currently in my second year Btech. in Electrical and Electronics in Manipal Institute of Technology. My Aim is to do MS either in Electrical or in Electronics (I have deep interests in Both of them) from a very prestigious college(Ivy league colleges). my present GPA is 7.2/10 (I will work very hard to increase it,as i have 5 more semesters to go). what should be my preparation strategy from now on. please guide me in the proper direction. should I start working on more research papers and what other steps shall i take to ensure an admission in one of the top ivy league colleges as I really want to do research in future and would definately want to do it from the best colleges around the world. thank you! Firstly, let me congratulate you on having such a long term vision about your higher studies. It will prove to be highly beneficial for you to build a solid profile from now on. 1. High GPA – As you’ve already caught on, a high GPA will surely help your profile. Target crossing 8-8.5+ within the next 5 semesters. 2. Research Projects – Getting involved in relevant research projects showcases your passion for research while giving you a first-hand practical training. 3. GRE Score – Ultimately, a high score will help you overcome any pitfalls you may have with respect to your GPA. 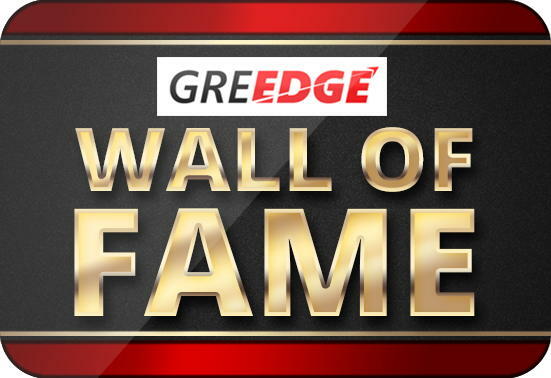 In fact, GREedge Alumnus, Shantanu Kumar, scored a 314 in GRE with 6 backlogs at the end of second year. Though he cleared his backlogs. his final GPA was 7.5 out of 10. He ended up securing an Ivy League Admit from Cornell University. If you’re looking for help with your GRE prep, schedule a call with our experts here, at your most preferred time. Thank you so much for your guidance. 🙂 also can you clarify one more doubt. is there any masters degree program for MS. in Electrical and Electronics , or is it just MS in electrical and MS. in electronics seperately? I am currently in 6th sem of my B.E. in Power Electronics, with a cgpa of 7.96 on a scale of 10 with 4 mini projects and 2 big projects. My gre score is 305 (V148 Q157) and expecting TOEFL score of 90. Which universities would best suitable for my profile if I am targetting Fall’18? You have a strong research oriented profile. With a compelling SOP, you might be able to crack otherwise ambitious options. To that end, some universities you can consider are Northeastern University, Michigan Technological University as well as University of Houston, Cullen. If you’re looking for expert assistance to help you with your applications, schedule a call here or email us at info@greedge.com and we might be able to help you get discounts on our premium admission counseling services. Can any buddy guide me what all procedures do I need to follow to get into top ten universities mean the admission requirements and all . We can surely help you out. The admission procedures for universities depends ideally on the country you are targeting. For example, for the US, the admission process is pretty straightforward but it is also extensive. 1. You have to research & shortlist universities based on your profile. 5. Collect transcripts from your college. 6. Send out your applications before deadlines! If you want to know more about this, please feel free to drop a call at 9884453276 or schedule a call here and we’ll call you at a convenient time.. I have done 3 to 4 mini technical projects ..Infact I have won the best technical.project award for 2 technical projects related to electronics and.communication..i also have work.experience of working in DRDO delhi in semiconductors.Also I ll.pursue another internship in.electtonics field in the coming month..could you help me with the colleges.. I am 2nd year Electronics and Communication student, currently my CGPA is 9/10 . I will be doing my minor and major project in coming years plus my university will provide me with industrial training .Will this help me to build a strong profile if I score 320+ in GRE. Can i make it to top 20 or 30 universities for higher education in respective field with the above said parameters? Firstly, let me congratulate you on your CGPA. I hope you continue to maintain it down the lane. Since you’re already thinking about GRE, you have a huge head start compared to others taking their GRE later. To that end, aiming, preparing and scoring a 320+ in GRE can boost your chances ahead significantly. Who knows, with the right research experience, you can even target top universities like MIT, Stanford, CMU etc. In fact, we have had many students who have made it into top universities because of three things – a high GRE score, a solid research portfolio as well as a persuasive SOP. Focus on getting past the first shortlisting criteria and prepare for GRE diligently. If you want to discuss more about this, you can talk to our student counselors on 9884453276 or schedule a call here. Sir, I have scored 68% in Bachelor in Electronics and Communication Engineering with GRE score 320 and IELTS score with 7. Will I be eligible to apply in MIT? Or please suggest within my standard. Firstly, you have a good GRE score, so congratulations on that! While you can try applying to universities like MIT, I’m afraid your admission requirements fall slightly shorter than what they require. However, a 320 in GRE and 7 in IELTS gives you a great chance for any of the top 20-25 universities in the US. Depending on the specific field you’re looking to specialize in, i will be able to suggest some universities for you as most US universities don’t have a single course for Electronics & Communications. Mam my GRE score is 330 and my CGPA is 7.0 after 7th semester. I have 2 research papers (IET) in the field of semiconductor devices. What are my chances for getting admission in top 10 universities in VLSI stream? Congratulations on your mighty 330! It is of course not possible to exactly determine your chances of admission, but let us go over the admission requirements clearly to understand what’s in your favour. 1. A high GRE score – You have a 330 score which is excellent! 2. GPA – This might be a little difficult to bypass. Generally, students who get into the Top 10 universities have a high GPA. But, let’s look at more requirements first. 3. Research experience – 2 research papers will definitely increase your admission chances, especially if it’s your own research and not a review paper. 5. LOR – Do ensure that whatever you mention in your SOP is reflected in your LORs as well. To that end, choose your recommenders wisely! So, to sum up, I would say you definitely have a better chance than a lot of students at getting into the Top 10 universities, provided you work on your SOP & LOR. if you’re looking for any expert assistance regarding your admissions, please feel free to give us a call at 9884453276 or email us at info@greedge.com! Firstly, congratulations on your son’s GRE score! Since US universities don’t have a specific course called Electronics & Communication, it would be easier to suggest universities if you can tell us broadly what field your son might be interested in – Embedded Systems, Electronics, Communications, Network Security etc. Do reply back and we’ll be able to suggest some universities for him. Hi, I am B.E. from ECE in year 2016 with CGPA of 8.3. I have 2-3 technical projects in Embedded electronics which were a part of curriculum. I have no research experience as such and no technical research papers but I have been working in Samsung electronics as hardware engineer since 2016 as campus hire. By june I would have had 1 year of work experience. I am interested to apply for 2017 fall MS in embedded systems. I am still to appear for GRE. Do you think I can apply for 2017 fall if I appear for GRE in Aug-Sept 2017. And what universities can I get? Hi, I am B.E. from ECE in year 2016 with CGPA of 8.3. I have 2-3 technical projects in Embedded electronics which were a part of curriculum. I have no research experience as such and no technical research papers but I have been working in Samsung electronics as hardware engineer since 2016 as campus hire. By june I would have had 1 year of work experience. I am interested to apply for 2018 fall MS in embedded systems. I am still to appear for GRE. Do you think I can apply for 2018 fall if I appear for GRE in Aug-Sept 2017. And what universities can I get? First of all, let me say that potentially have a great profile for admissions into top universities – provided you get a high GRE score, for example 320+. This can help you target top 20 universities in the US for MS in EE or CS depending on your specific skill sets. Coming to your admissions, top universities tend to have deadlines starting from December 1st 2017 for Fall 2018 intake. If you’re targeting scholarships, then you should consider applying earlier because priority deadlines start by Oct-Nov for many universities. Ideally, we advise students to keep 4-6 months for shortlisting universities, writing their SOP & LORs, preparing their application as a whole. With this in mind, book your GRE date as you also need sufficient time to prepare for GRE & score high! Therefore, we advise students to give their by July-August at the max. Hi, I appeared for GRE (Q:163 V:158) and TOEFL (110). Do you think I should retake the test? What universities can I get with this core to do masters in VLSI/Embedded electronics. Hi My GRE score is 322 and CGPA 3.87/4. I want to pursue MS in computer science in machine learning. I don’t have any publications or work experience. What are my chances of getting admission in top 10 universities? I want to apply for fall 18. What else can I do to strengthen my profile? I am a final year b.tech electronic and telecommunication student studying in SGGS IE and T Nanded i. My cgpa is 7.7 . I have done 1 month internship in BSNL . I did 1 mini project in my 6th sem . And i am working on major project for my b.tech degree . I always wanted to go for MS after b.tech . so what should be my next step? How do i prepare for GRE when it will be good time to apply for exam and admission ? I have done my Electronics and communications engineering in 2007. I had to take up a job right after my education for personal reasons. I have worked in software industry for 4 years in india then got married and after kids i had to take up job for 2 years in US. Now i want to go back to my passion and do MS in electronics. I am lost as to where to start as i dont have any friends from college or job who have done masters in electronics. Originally i was interested in opto electronics and robotics, but are there any courses which would be better with my background? I am really confused to write either TOEFL or IELTS for US universities.plz suggest me the best..!! Hello,I am Rahul currently in my fourth year of electronics engineering.I have a cgpa of 6.79 and some internship experience.I can get my cgpa upto 7.Is it worth applying for MS in US looking at my scores?If so,what GRE score should I look at? Hello I am Prachi and currently I am in my fourth year of electronics engineering. I have a cgpa of 8.15. When should I appear for the gre exam so that I could go for MS after I complete my B.Tech? Hi, My Son has GRE score of 298 in GRE and cgpa of 7.2. He is interested in MS embedded system. please advise suitable university for his caliber. I’m Aditya and currently working as an electrical assistant engineer . It has been one year now . during undergraduate time I had done 4 mini projects , one major project and intership . So let me know what are the universities I can opt for pursuing masters in power electronics. Hii. I currently have a cgpa of 9.51/10 and have score 322/340 in GRE. I am also a part of NGO and perform Social Service (which might add up to my SOP). I currently do not have any research paper published but will end up with 2 of them by the end of MAY2018. How high are my chances of getting into any of the top 10 universities for MS in Networking (Electronics and Communications)? Also, how can i ensure a good scholarship for the same? if not in the top 10 universities, can i get a scholarship if i take admission into any of the top 25 universities? i have also done a research internship at IIT Roorkee and an industrial internship in a leading telecommunication company. Sir I have completed my engineering in 2016 in electrical and electronics having 65percent aggregate. Now am planning to do MS ,so what would be the suggestions to me. What ranking I should score for a rough idea and to which university I can apply will be the best for me. I1 m preparing gre for ms in ece.. i completed my btech this year . I want to know at what time i prefer to give this gre exam.. should i give it before december or after it..
Hi, My GRE Score is 302 ( 160 Q, 142 V and 3 AWA), CGPA is 7.705 out 10 in Instrumentation and Control Engineering Course. During my undergrad course, I have done two national level project ( bagged award in one) and an international project ( awarded second place ). One summer internship in an embedded product development company during my undergrad course. I want to pursue masters in embedded systems or (CE with specialization in embedded) in fall’18. Can u suggest some good universities for my profile? Ma’am I have been working for about 6 months. My engg aggregate were 64.88% nd will gre in month of Aug. How much should i target to get a MS in Electronics and what colleges i can get. P.S- My score in Gre mock was 323. I have done project on adurino and ARM7. Have done internship with Nuvoton technology in ARM7 also. I am 2014 Btech pass-out in Electronics and telecommunication engg with 8.5/10 CGPA, have 2 years of work experience, I want to do MS in US , planning to prepare for GRE, where to start now.? can you guide me on this? Hi,If academic percentage is between 50 to 60 or near to 60 and GRE score is about 320+ is there will be a selection in the good universities..? I haven’t take any GRE exam yet but i am preparing for that apart i want to know how big score required to get a good university with scholarship. i have around more than 04 years of professional work experience in which 03 years 03 months on the basis of diploma and after that i joined B-tech course & recently passout in 2016 and 01 year experience after B-tech, will any score be counted for my experience ? also i have a major project one mini and two sector internships. Kindly help me to figure out this also can i have chances for full scholarship and which session will be good to apply for admissions. + i have 72.85 % in Diploma (03 years) and 67.4 % in Degree. I have completed my b.tech in 2014. Have been working in IT from June 2014. Now u want to go for MS in electronics and communication. My CGPA is 8.9 in graduation and 9.7 in puc. Please suggest me the colleges ,respective GRE scores and job opportunities as well. I have work experience of 3 years in IT but not in electronics , will it be a problem. I am currently 4th year of my b.tech with a cgpa of 2.503 which 70% and my 12th percentage was 69.2% and 10th was 89.3%. Is there any chance that I can get in Universities like Standford,MIT and University of California even if I score 330+? if we score good marks in GRE will I be able to get seat in good university? because my aggregate is just 60% . Hey, I am currently in my 4th year of Btech ECE and have a GRE score 316, AWA:4.5 and a TOEFL score of 93. I am very interested in doing VLSI and Integrated Circuits in Michigan University. I have done one mini project related to ICs and planning to do my final year project on something related to VLSI. Do I stand a chance? If not, what other universities would you suggest? Hello, kindly help me decide a very important choice, I haven’t taken GRE yet, hopefully a 315+. I will be trying for intake of 2019 . My cgpa is 7.6 in ECE, calicut University , Kerala. I have started to work in a company of industrial automation and will have an experience of 1 year minimum by 2019 and I am planning to go with my friend who will pass engineering in 2018 and will have an aggregate around 8.9 in medical electronics, hopefully which university is better for us in US to do Ms, in embedded or any good course for that matter, together? So I want to go abroad for higher education. Which are the best collages…. I have a quant score of 169 and Verbal of 155.. Total GRE Score 324.. IIT..With CGPA 8.41..Done Internship with CEWIT and Texas Instruments..
Have scored above 95% in both Std X and XII also. Looking for doing MS in Electrical. Which are the best ones and the chances. I am looking for fall 2017….my gre is on 1st Nov..I am going to start with my documention within 2 days…I am a fresher(EXTC eng)….I have a fear in mind if I got low gre score …. And if I will retake gre for fall 2018…will all those documention work???? ?And one more having low gre score can give good University based on sop and lor??? I am currently final year student of ECE with CGPA 8.3/ 10 , 12th – 91.6% , 10th-93% with 1 mini project , 1 major project and I am placed in a core company so I will be having core industrial experience in embedded systems by the end of next 1 year . What are chanced of my admission in top 5 universities If I get 310+ score in GRE. I have quant 162 and verbal 141 awa 4 aggregate is 3.15 I’m currently in my final year can i get admitted into ohio state university or ut dallas? My son has completed B.E. degree in Electronic & Telecommunication in distinction from Mumbai University in the year 2011. Thereafter he has done 4 Research presented and published in the international journals. One of such papers presented is conducted by IEEE and IIT powai. In between he had served for Reliance Communication (Anil Dhirubhai Ambani Group) for short while as Network Engineer. Now he is looking to pursue further Masters or Phd studies in reputed universities abroad who can provide placement after completion of studies. Also, can he get sponsorship based on his research. what are the best destination countries for masters for ece students other than US? I have completed my b.tech in ece with 60./. Hi, my son studied ECE with a third class from All Nations university college in Ghana, what chance does he have to study his MSC in an American university. Am from Nigeria. Thank you for writing to us, but we’ll need more information to understand what chances your son has of getting a good admit at a US university. You can also submit your son’s profile for evaluation and we’ll get back to you! I am a second year student doing BE in ECE and I want to do masters in USA. As I have interest in CSE too so is it possible for me to do masters in CSE?? And if it’s yes please guide me in a proper way so that I can start my preparations in that way too. And if it’s no then please guide me how to get admission in for masters in electronics in MIT and what are the requirements for it e.g grades, projects work experience etc. It’s great that you’re thinking about your Master’s in your 2nd year itself. But let me be very clear, there are two types of universities in the US – one which accepts students from different UG majors and ones which don’t. Your first step should be to narrow down universities that do accept students from different UG backgrounds provided they have studied certain pre-requisite courses too, as part of their curriculum. So, for example, we’ve had students who have completed ECE and pursued MS in CS in universities like CMU, Suny Brook, UTD, University of Illinois, Chicago etc. However, you must ensure you have a top-notch profile with a high GRE score, work experience, research work etc to increase your chances of admissions. If you’re looking for assistance & guidance regarding what opportunities to take up & how to build your profile for MS in CS, you can schedule a call with our experts at your preferred time. Participated actively in curriculum activities. From the outside, your profile seems good. The weightage of these three points will vary significantly depending on the countries you’re looking at as well. For example, universities in Canada place a high emphasis on your IELTS or TOEFL score whereas for the US, the choice of universities & your SOP will play a major role. Hello. I am in 7th semester ECE branch. I scored 301(Q-156, V-145) in GRE with 4.0 AWA. My CGPA is 8.1. I have done 3 mini projects and 1 major project,. Expecting 90+ score in TOEFL. Which universities should i be able to target for fall 2018? You have a pretty good profile in terms of your GPA and project work. However, your GRE score is a bit on the lower side. If you are able to retake your GRE and boost your Quant score specifically (~160+), then you can target a wider range of universities. Now, when it comes to suggesting universities for ECE, I will need your exact area of interest – for example, networking, communication, VLSI design etc to accurately shortlist universities to suit your profile. So, do reply back with your research interest and we will get back to you with a list of universities. Aiming for MS in Embedded Systems Fall 2018.
c. Final year project. Navigation system using various sensors (like Motion sensor and barometric pressure sensor) using Raspberry pi along with python GUI for users. Technical paper: accepted by the journal. Going through check before publishing. Internships: 2 internship during college. Work experience: 5months and I’m going as Embedded software product developer. Working on phytec platform to develop Direction Finder. NGO: for over 2years, I’ve been working with Becoming I Foundation. And represented Vellore branch as City Head. Can you suggest some colleges I should aim for keeping my profile in mind? Hello mam. I am planning for Fall2018 for MS in electrical engineering in US and I have 6 years of work experience in the relevant field. My GRE score is 301 and TOEFL yet to be given in 2 weeks. Could you suggest me good colleges to which I can get admitted, considering funding?? Thanks in advance. I have completed my btech in electrical and electronics.. I’m I able to pursue ms with 67percent.. would you suggest the universities.. and what should be the score in gre ielts tofel to get admission.. I am in final semester currently with cgpa 7.53/10 in electronics and Instrumentation.I had done 2 industrial interns.I want to pursue Masters in control and automation during fall 2018.what criteria is required for me to get admission? i am in 6th semester with cgpa 8.1 in Electronics and communication. i want to do MS in computers side on fall2019. So are there any prerequisites required for applying any university in computers side????? Is it good to take computers rather than ECE side ?????? I’m in 5th Sem with my avg GPA 6.2. Can you please tell me how do I increase the strength of my resume and how much should I score to compensate for my low GPA? I have a concern regarding my application process for MS in robotics. My profile: BE in EEE 2015 passed out, CGPA 9.44/10, with gold medal. Have two years of experience in TCS EIS and General motors. I have two IEEE publications, Many robotics/AI projects and Automotive projects at GM. I applied for Univ. of Michigan, but have not got any reply. I need a help in choosing the best university. Also i hve a concern iff robotics course would be the bettr option after working in GM/Automotive or should i take MS in embedded system….. I have quant marks of 162 and verbal scores of 149 and AWA of 3.5. My CGPA is 7.8. I want to pursue my ms in usa on electrical/electronics. Can you suggest some universities. My GRE scores are : v:148, q:168,anw 3.
done a project in automation. which universities can I apply for fall 2018?? Best universities for MS in embedded system design and AI in the US? I’m currently in my 8th semester for electrical engineering with an average of 60%. I’ve been a part of few technical competitions, done a month long internship and am currently engaged in the final year project. I wish to pursue MS in the same field. Can you suggest me some decent universities and also the courses for masters or specialisation in electrical engineering? Also how much should I aim for my GRE score. I have completed my Diploma in Electrical Engineering,& can I know that which college is best for me,and I got 82% in my diploma.& Also how much the fee will be??. I am pursuing my graduation in the field of electronics. My ambition is to get into MIT to pursue my higher studies.. What is the cgpa required apart from GRE score?What will be the annual fee structure? does the value of undergraduate college matter a lot if i want to pursue masters in USA ? I have a cgpa of 8.9 in btech electronics and. Communication. I have 3 mini projects 1 major project, 2 research papers. But I want to pursue ms in computer science in a top ranked university. Is it possible? If yes what should I do? Can you tell what are the required GRE scores for the above mentioned institutions ? This Is R. Ramesh from India. I am looking forward to continue my MS in USA for the Renewable Energy Engineering. Kindly let me know what are the universities providing this specialization. I have a total of 4 years of experience as hardware engineer (signal integrity domain, primarily related to electromagnetics and high speed design). I have been working in same domain in a reputed networking company from last 2 years. I wish to pursue MS in electrical engineering through distance learning programs. Which universities are best for online courses? Since I have budget restriction, mentioning typical expenditure (and typical required GRE and TOEFL scores) would be helpful. I have not taken GRE and TOEFL yet. What time frame do you suggest to take the exams in 2018 and 2019 1st half? My son is doing B Tech from NIT Silchar.he is in 7th sem.His branch is electronics nd instrumentation .His cgp is 9.21..He will appear in GRE..He has done few projects.How much GRE score is needed for Stanford nd MIT. Mam, what is the criteria for availing 100% scholarship in the ivy league universities or the top 20? I am a 4th year Electronics and Communications Engineering student from India . I have a GRE score of 320 and an average GPA of 9.36. I have completed 4 mini projects and currently pursuing another project . Can I get an idea in which American universities I need to apply? Its really good website. Thanks for Giving comple details about Electrical Engineering. HI mam, I am Deepikaa and I completed my graduation with 72 % in electronics and communication in Andhra university.I would like to join in Ms In Us during Fall-2019.I would like to know some colleges in the respective subject for 310 score,so I can apply during the time of my exam as it was free for applying on that day. I am pursuing electronics and communication engineering , currently in my final year. My GRE score is 314 (V-152 Q-162) .I would like to do Masters in Communication Engineering(preferably Optical Communication). CGPA-8.85/10 . Presented research posters at a couple of International conferences(Won a best poster award when the competition was with PhD students and research scholars). My research area is microwave source generation through optical means. What kind of universities should I be aiming at ? Can you suggest me top tier universities in usa with excellent background on embedded systems? Nice Website it really looks so good. Thanks for giving full information about Electrical Engineering Courses. Previous story The Perils of Preparing for GRE from Books.